It looks like Nahla is getting a baby brother! 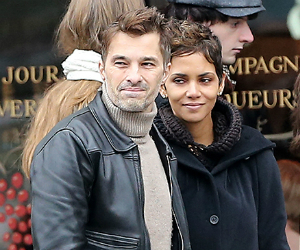 Halle Berry and her current love, Olivier Martinez, are expecting a baby boy. As The Inquisitr reported,Â Martinez confirmed that, “My son will be an American, but I remain French,â€ he said. This will be the second child for the 46 year old Berry. She has a 5-year-old daughter, Nahla, with her ex-boyfriend Gabriel Aubry. Although the gender of the child was revealed, there has been no reported due date for the boy.